Popular historic sites such as Fort Rosecrans Cemetery and Mt. Soledad National Veterans Memorial are in your itinerary. 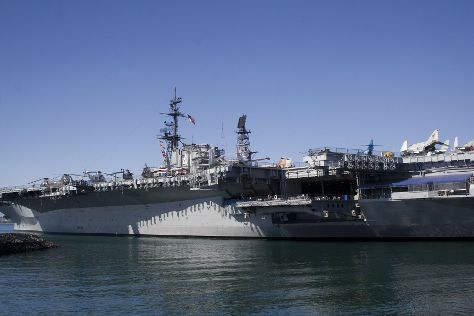 Museum-lovers will get to explore USS Midway Museum and Maritime Museum of San Diego. Step out of San Diego to go to Alpine and see Lions, Tigers & Bears, which is approximately 58 minutes away. There's lots more to do: admire the majestic nature at Torrey Pines State Natural Reserve, appreciate the extensive heritage of San Diego Bay Walk, take in the architecture and atmosphere at Mary, Star of the Sea Catholic Church, and admire all the interesting features of Old Town San Diego State Historic Park. To find maps, ratings, photos, and more tourist information, read our San Diego travel planner . In July, plan for daily highs up to 77°F, and evening lows to 68°F. Cap off your sightseeing on the 22nd (Mon) early enough to travel back home.